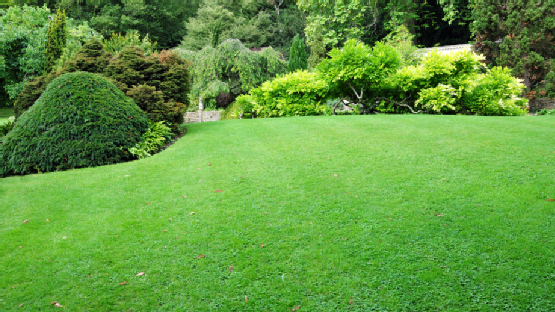 Lawn aeration is a must for property owners who care about the health and appearance of their lawns. Aerating your lawn will reduce the soil compaction that occurs every time you or your children are playing, working, or relaxing on your lawn. As a result, your soil can more easily get the nutrients, oxygen, and water it needs to thrive. Lawn aeration is fairly straightforward, but if you are a first-time lawn aerator, there are a handful of things you should be aware of. Before you start, mow your grass. After mowing, mark all sprinkler heads, septic lines, and underground utilities. Take care not to run the aerator directly over any of these markings. You should also take general care while running the aerator. After aeration, rake up the aerated plugs and rake sand into the holes to prevent pests from seeking shelter in your soil. Since lawn aeration is most beneficial in spring and fall, you may find it most cost-effective to rent an aerator as needed rather than purchasing a new one. To speak with a lawn and garden equipment rental specialist that serves San Jose and the surrounding areas, call A Tool Shed Equipment Rentals at (831) 359-4769. PERRY, Okla. — The Charles Machine Works (CMW®), Inc., manufacturer of Ditch Witch underground construction equipment, has launched a series of informative articles designed to improve jobsite safety and productivity of anyone who operates underground construction equipment. This initial article covers the basics of operating trenchers safely. Thanks to advances in technology, trencher manufacturers are producing better and safer equipment today than ever before. But no matter how sophisticated the trencher is, the operator must learn and follow all operating procedures provided by the manufacturer. Here are some of the main safety precautions that operators, supervisors and managers must incorporate into their daily routine in order to ensure the safest possible working environment. Operator Responsibility . Equipment operators are responsible for ensuring equipment is operated safely and properly, and for ensuring the safety of coworkers and bystanders. However, safety must start with the supervisors and managers requiring that all operators are properly trained on each piece of equipment they operate. Having and enforcing safety policies and procedures and providing the needed training are essential to safety on the job and key to reducing the number of injuries and fatalities that happen each year. Pre-Work Equipment Inspection . Before operating a piece of equipment, the operator first needs to read and thoroughly understand the equipment operator’s manual. Next, the unit must be in good operating condition. Make sure all guards and shields are in place and operator presence systems are functioning. Be aware of potential hazards such as exposed belts, chains and shafts. Check for leaks, but be cautious when checking leaks in pressurized hydraulic systems. A good way to determine if leaks exist is to look under the unit after it has set overnight. Never use your bare hands to check for leaks. High-pressure fluid escaping from a small hole in a hose or fitting can penetrate your skin. Hydraulic fluid-injection poisoning can lead to amputation, or even death—so be careful. Be sure that all safety switches are connected and working according to the manufacturer’s design. The operator’s manual and the unit’s safety signs are designed to make operators aware of certain hazards associated with the operation and service of the unit. Replace these as they become worn, damaged or misplaced. Loading and Transporting . The tow vehicle must be able to handle the Gross Vehicle Weight Rating (GVWR) of the loaded trailer as well as the tongue load. Make sure the trailer and tow vehicle are properly connected, and that the towing vehicle’s parking brake is set prior to loading equipment on trailer. With everyone clear of the loading area, lower the equipment throttle and slowly load the machine onto the trailer. Lower all attachments not held by stow locks, set the parking brake if supplied and secure the machine to the trailer with tie downs. Reverse the procedure for unloading the unit. Always follow all state and federal D.O.T. regulations. Jobsite Preparation . Before beginning any job, mark the proposed trench path with white paint and contact your local one-call service or the national 811 number to have all underground utilities located and marked. In most cases, this should be done at least 48 hours prior to start of job, but check your local and state regulations for one-call regulations and notification. Knowledge of the laws in your area is important. Some states may not require all underground utility owners to be members of the one-call system. In those instances, utility owners must be contacted separately. It is your responsibility to prevent damage to underground utilities. Walk the jobsite and look for signs of buried utilities that may have been missed. These could include trench lines, utility risers or pads, meters, lines coming down utility poles, and manholes. Other items often overlooked are yard lights, power to outbuildings and invisible dog fences. Some of these may be an inconvenience if damaged, while others can cause serious injury. Potential Hazards . Start trenches away from obstructions such as curbs, slabs and fences that digging teeth may catch. Stop trenching to make trench observations such as trench depth. Clear objects such as landscaping fabric, cable and wire from the work area. Operate only with personal restraint bar or trench cleaner in place. If trenching must be done on a slope, travel only up and down a slope. If operating across a slope cannot be avoided, swing all attachments toward the uphill side and lower them as much as possible. Avoid turning on slopes. If operating a walk-along trencher, never stand on the downhill side of the equipment. Always wear your seatbelt, if equipped. Never remove, weld on or alter the Rollover Protection System (ROPS). If working in dense underbrush or around trees, be aware of low-hanging branches that can snag control levers or catch on attachments. The Danger Zone . You, as the operator, must be aware of coworkers and bystanders at all times. Inform coworkers and bystanders to stay at least 6 feet (2 meters) from the farthest reach of any attachment, including a backhoe. Bystanders and coworkers closer than 6 feet (2 meters) can enter the trencher attachment danger zone and may trip and fall into the trench or onto the attachment. Also, the trench could cave in, causing entanglement with the attachment. When working in rocky conditions, the attachment can throw rocks from the trench and strike coworkers or bystanders. When operating a machine with a drilling attachment, the danger zone should be extended to 10 feet (3 meters). Never stand on or grab a rotating shaft with your hands. Other danger zones to look for include such areas as the plow and backhoe attachments, as well as the pinch point on articulating frame units. Stay away from these areas. Safety is a personal choice that each of us must make. These choices can make a difference on whether we get to go home at the end of each day. For more information about Ditch Witch trenchers and safe operation, please call 800-654-6481 or visit http://www.ditchwitch.com/ . When you need to level some land on your property for a garden or dig a hole as part of a DIY construction project, there is no man or machine that can help you the way a rototiller can. To learn more about this exceptional piece of equipment and how it is meant to be used, check out this demonstrational video clip. Safety should always be of the utmost concern when you are operating a tiller or similar piece of equipment. With a tiller, it is most important to keep your feet away from the tines while the tiller is running and to have solid footing behind the tiller, with your grips firmly holding the handles. As long as you are being safe, all you need to do is control the tiller as it prepares the ground for you. If you are looking to rent a tiller or other equipment for a home or lawn improvement project, contact the equipment rental experts at A Tool Shed in San Jose. To learn about A Tool Shed Equipment Rental’s vast inventory of well-maintained, high quality tools, call (831) 359-4769. Weeds are annoying for many different reasons, and devoting your time and energy to eliminating them from your property only to find that they crop up again a few weeks later is just one of the annoyances. Although there is no quick fix for permanently driving weeds from your lawn and garden, there are a handful of tactics you can incorporate into your weed control approach to make it more effective. Use Mulch Mulch is fast becoming a gardener’s staple, and for good reason. Mulch helps plant soil retain moisture at times when water is scarce, and it hinders weed growth by blocking the sun from sprouting weeds and attracting insects that eat weed seeds. Weed When Wet Pulling weeds from dry soil is tough. Uprooting weeds in their entirety is nearly impossible. San Jose receives plenty of rain, so save your weed killing efforts or a day when the soil is moist, when weeds can more easily be pulled out from the root up. If you find that there are some stubborn plants you just cannot get at the roots of, at least cut off their heads to prevent them from spreading their seeds. Use Weeding Tools Weeding equipment is designed to assist with the weed pulling and killing process. If you own a weed eater or can rent one from an equipment supplier near your home, you will find that you can weed more quickly and more effectively than you ever could with just your hands and a pair of gloves. Concentrate Efforts on Active Weeds The weeds that are thriving are those that are causing the most problems for your garden. By digging up dormant weeds, you may stir other weed seeds to life. Instead, focus your efforts on active weeds. With six decades of experience serving the San Jose area, A Tool Shed Equipment Rentals is the place to go to find all of the weeding and home improvement rental tools and equipment rentals. To find out which of our six convenient locations is nearest you, call (831) 359-4769 or contact us online. At A Tool Shed, we’ve proudly served our Northern California neighbors for 60 years and counting. Though our family business has grown to six locations since 1945, we maintain the same philosophy we had when we started: offer a full selection of rental tools and provide great customer service to our clients. A Tool Shed offers tool and equipment rentals for a number of different jobs. Some of our customers are novice DIYers who are looking for basic tools for basic projects. Other customers are contractors and construction companies who count on us to meet their big equipment needs. We make sure all of our clients have the right tools for their jobs, every time. If you need to rent tools , visit one of our six locations. You can also call us at (831) 359-4769 to learn more. We have what you need to get the job done quickly, safely, and effectively. Whether you’re completing a large construction project or performing a small home repair, it helps to have an equipment rental company you can count on for the tools you need. 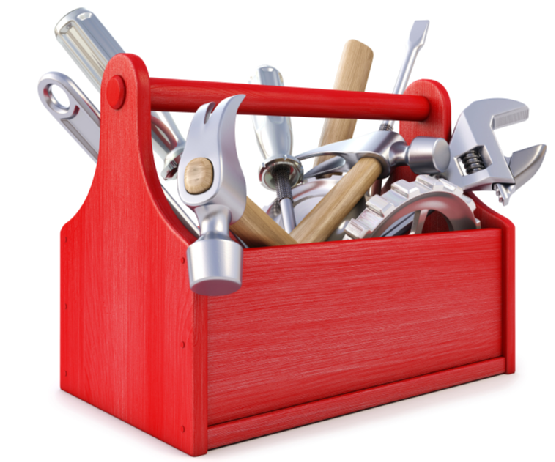 Since 1945, A Tool Shed has provided comprehensive tool rental services to customers throughout the San Jose area. Open seven days a week, we can get you the tools you need, when you need them. To learn more about our company’s record of service, watch this video. At A Tool Shed Equipment Rentals, we believe in exemplary customer service. It’s why our customers trust us for all of their tool rental needs. To learn more, visit one of our six San Jose area locations or call us at (831) 359-4769.